Whistler has always been one of my favourite places to visit. The village has an almost magical quality and there are tons of activities to enjoy all year ’round. So naturally after adopting Avy I wanted to enjoy one of my favourite “getaway” spots with her. Together we have visited Whistler in all seasons doing both day trips and weekend getaways. Now we are going to share everything we’ve discovered with you. After a long drive your furry friend is likely feeling a bit restless and ready for a bathroom break. 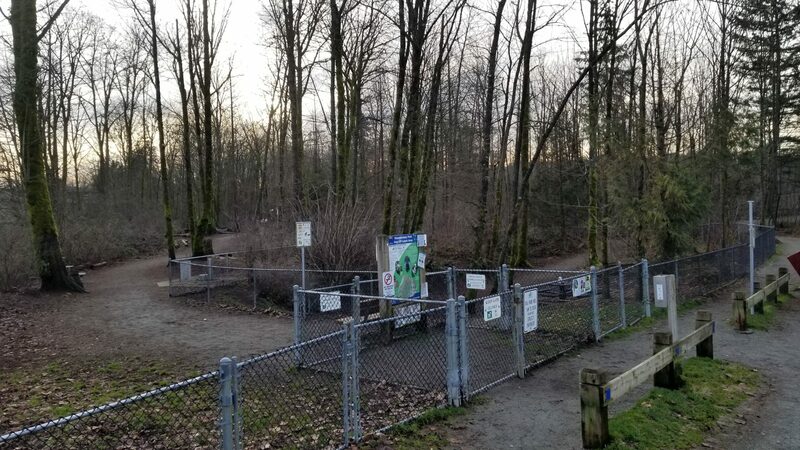 If you are coming from Vancouver and are looking for a place to stop and let your dog stretch their legs before you arrive at your accommodation, consider a detour to Bayly Park. 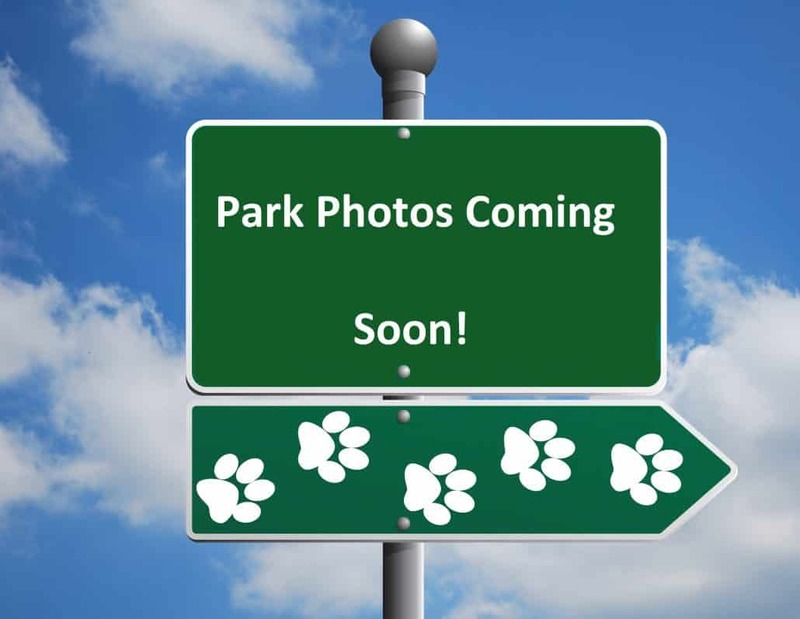 Located in the former Athletes’ Village from the 2010 Olympic Winter Games, this park features a medium size, fenced dog park complete with agility equipment! To get to the park, turn right (east) off the Sea-to-Sky Highway onto Cheakamus Lake Road (across from Function Junction). Follow the road a half kilometer, turn right on Legacy Way, cross the Cheakamus River and the park will be on your right side another half kilometer down the road. 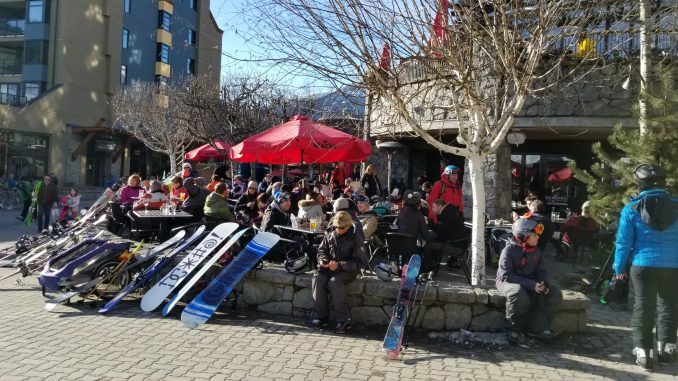 Whistler Village is 9km north when you’re ready to leave. Stopping at this park is also a great opportunity to check out an area of Whistler you may not have seen before. Many of Whistlers’ locals live in the former Athletes Village, and along with the dog park, there is a huge park with sports fields, tennis courts, beach volleyball courts, a BMX track and a community centre. Many of the hotels allow you to stay with your dog, but do your research before you make a reservation because dog policies can vary significantly from hotel to hotel, as will the amenities they provide. We have compiled a list of dog friendly hotels in the Whistler area. Each one links to our corresponding directory listing which includes maps, contact information, links to their websites, links to their social media pages and an overview of their dog fees, restrictions and amenities. You can quickly filter out hotels in with size restrictions or breed restrictions using our directory search page. To date, Avy and I have had the pleasure of staying in two of these hotels. 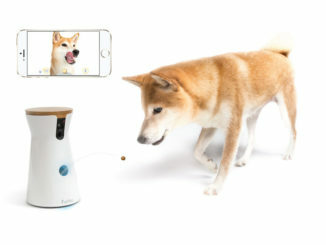 Check out our reviews to hear first hand about the dog experience each provides. Once you’re settled in it will be time to hit the Village and have some fun! Looking for somewhere to have dinner? Take a stroll and chat up the staff at your favourite patios. They’re not all dog friendly but there are options in both the upper and lower village. Let’s be clear, dog friendly dining in British Columbia means you are seated along the perimeter of the patio so you can stay close to your dog, which will be on the outside. Sadly, animals are not allowed anywhere on the premises, so any establishment that chooses to allow your dog to sit with you on the patio is taking a risk – one which could result in penalties from Health Authority Inspectors. For that reason we’re not currently listing any establishments. But rest assured, Whistler is a very dog friendly place and you will find a good time if you ask around. Just dress warm because not all of those perimeter seats are covered by a patio heater. As much fun as it is to explore Whistler with your dog in tow there may be times that you want to head out without your dog. A day of skiing? A nice dinner in a restaurant? A special event to attend? No worries, Whistler has you covered with a variety of dog sitting, walking and daycare services. Alpine Dogs K9 Adventures: Offering in room dog sitting, one-on-one adventure walks and group walks. Bubbles Dog Spa: Offering dog sitting, daycare and spa services. 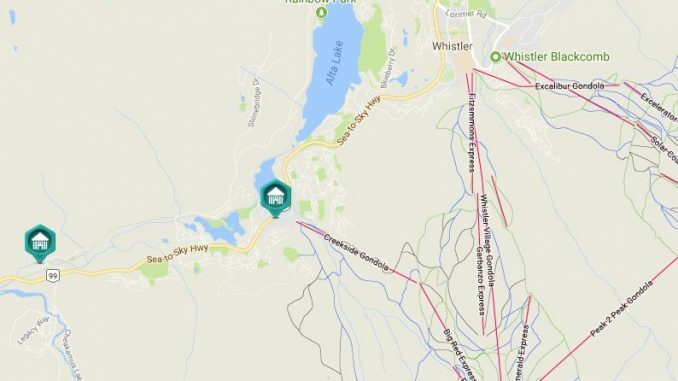 Whistler Dog Sitting: This one-on-one dog sitting and adventure walk company will dog sit your pet while you are out enjoying all Whistler has to offer. They will come to your hotel or take your pet for an adventure walk. 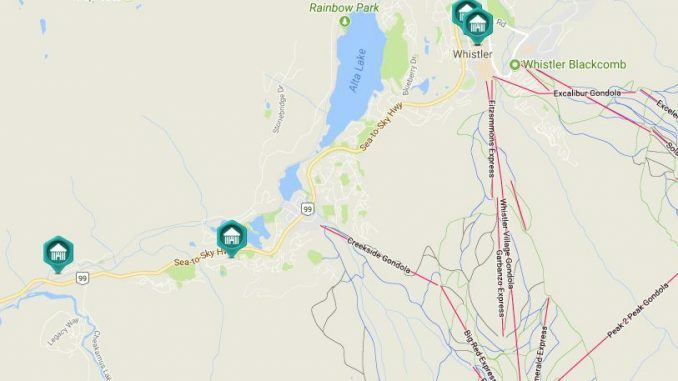 Whistler Dog Walkers: Offering puppy play dates and 3-hour adventure walks. Whistler’s Happy Dog Daycare: Offering quick pee breaks and longer adventure walks for your dog. After a long day of shopping in the village or out adventuring, visiting an off-leash park may seem like too much. No worries – Whistler has a variety of on-leash options to take your dog for a stroll in and around the village. Whistler Village is well known for its shopping and we have done our share of that while visiting! Many of the shops on the Village Stroll are dog friendly, just be sure to ask before you bring your dog inside. 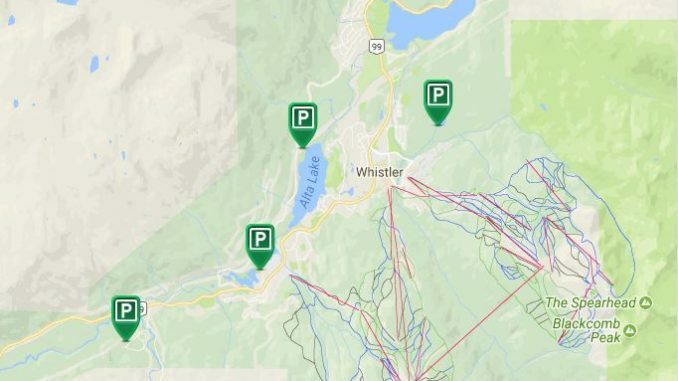 The Whistler Valley Trail is a 40km trail that connects Whistler Village to its various neighbourhoods and a variety of outdoor activities. While the trail is not off-leash, it will take you to off-leash parks in the area. The Whistler Golf Course generously allows dog owners to walk their dogs on their cart paths. Please respect this privilege by keeping your dog on-leash and avoiding any closed off areas. It’s a bit of a drive from Whistler Village (15 minutes/17km), but Brandywine Falls Regional Park is a beautiful attraction in the area. There are a number of trails through this beautiful park, but the first one you should take is the one which leads to the falls, so you can spend some time on the lookout taking in the breathtaking views. The park is on-leash only but definitely worth a visit with your dog! 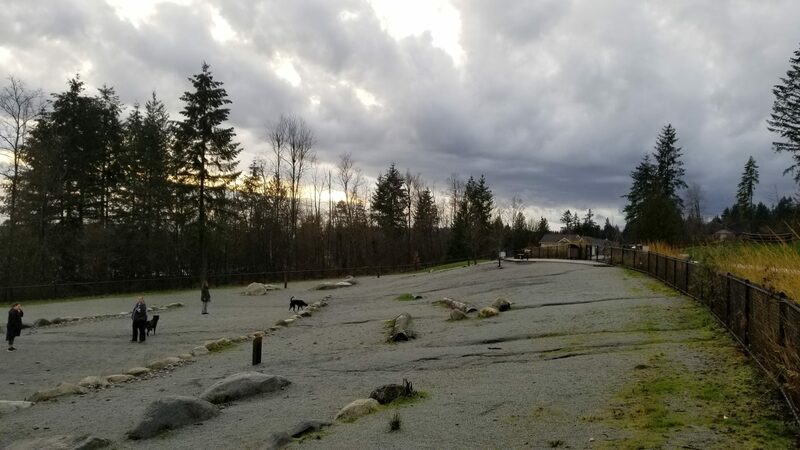 Whistler has several off-leash dog parks and we have been to all of them! Click on the park names below to see our directory listings complete with a park features, descriptions, maps and pictures. Alpha Lake, Lost Lake and Rainbow Park all have dog swim areas and Bayly Park has agility equipment. If you are visiting in the winter months we highly recommend spending the day snowshoeing or cross-country skiing with your dog. Ski Callaghan is about a half hour drive south (24km) from Whistler Village and has a wide variety of off-leash snowshoe trails. You can check out a frozen waterfall or just enjoy some amazing scenery. At the time this post was published the cost of a day pass for the area was $16.00. Snowshoes can be rented from the Access Callaghan store and office (located in the parking lot). Our directory listings for each of the Callaghan trails includes a trail description, distance, and elevation gain. 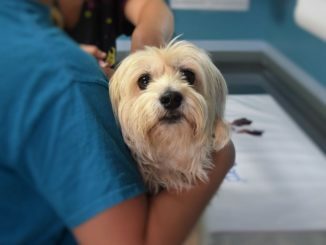 Coast Mountain Veterinary Services: A full service veterinary clinic located at Creekside. Whistler Veterinary Clinic: A conventional and holistic veterinary clinic located at Function Junction. 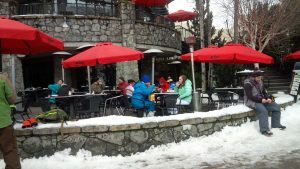 There is no question that the most popular reason for visiting Whistler, in any season, is the recreation. In the winter you have world class skiing and snowshoeing as well as other winter activities, and in the spring, summer and fall you have access to an amazing array of hiking options as well as some top-notch mountain biking. Thank you for visiting our Ultimate Guide to Enjoying Whistler With Your Dog! We welcome your feedback – please feel free to share your own experiences or offer suggestions of places you have visited.